If you are considering a new set of steps for your home or commercial property you have come to the right place. 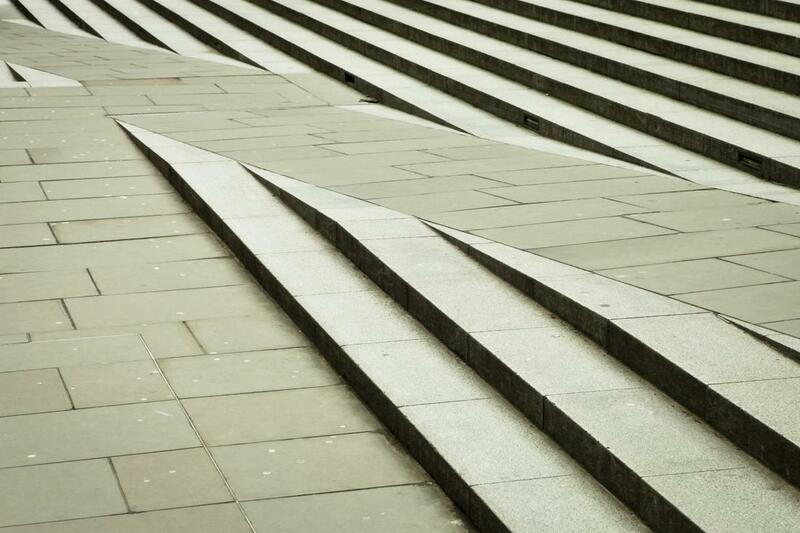 Many people consider wooden steps for the upfront cost savings but they fail to consider the long-term benefits of choosing to go with concrete instead. Concrete steps have proven to hold up against the harshest of elements year after year. There are so many different styles and ways you can create a new set of steps that will beautifully complement your home's aesthetics. There are literally thousands of different styles, textures, and colors you can choose from if you want to incorporate decorative concrete features. Always stylized to fit your every need, you won't regret choosing Knoxville Concrete Pros for your next project. Our team has decades worth of experience creating similar concrete and cement installations all around the city, and your home could be next. If you're looking for a more authentic look to your steps you may opt for traditional gray. This is probably the most common choice is it can match easily with any type of building with ease. They don't require much additional labor after pouring the concrete and finishing. If, however, you may be looking for something a little different or maybe even somewhat decorative there are endless possibilities with different stamping and staining techniques. Some people even go as far as to install concrete retaining walls along with their steps to truly transform the landscape of their property. Stamping will allow you to mimic practically any other material such as brick, slate or tile to add a nice decorative touch. Staining will allow you to accent the interior or subtle exterior details of your home and make them pop. The very first step in creating any new set of steps in the design phase, which sadly enough is where so many people go wrong. If this is done incorrectly the steps may be very uncomfortable to navigate up and down or look all wrong. Our contractors take extra care and have the experience to always make sure your steps are designed and verified with you before the work gets started. After designing your steps and getting your approval it will take anywhere from a day or two to much longer if it is a large set of steps. Whether you are in need of a repair for an existing set of steps or a consultation for a brand new set, you can't go wrong with Knoxville Concrete Pros. Your steps are something that can either greatly enhance or reduce the look and appeal of your property and you want to make sure they look great! Not only that, but they need to be functional and safe for anyone that travels up and down them. We will work with you to make sure all of your needs are addressed and you are completely satisfied with the finished result.